The Pulsar Quantifier range of integrating averaging Sound Level Meters is the practical option if you require a no-nonsense, simple to use solution for industrial noise measurements. All instruments in this range are data logging with the outstanding Pulsar Analyser software provided as standard, making the transformation of your noise measurements into informative reports a simple task. Ideal for Industrial, Occupational and Environmental Noise MeasurementsSwitch the instrument on, cal.. 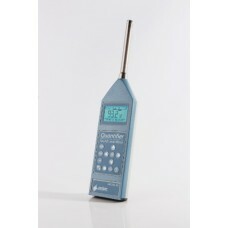 Suitable for both Industrial and Environmental noise measurement applicationsIncludes all the measur.. The simple to use solution for Environmental, Industrial and General noise measurementsIncludes all ..